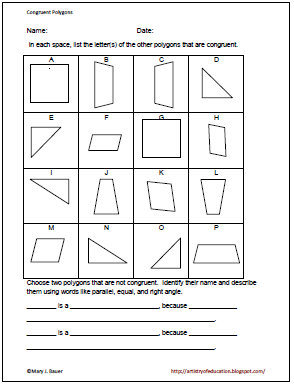 Here is a one-page freebie where students identify shapes that are congruent. 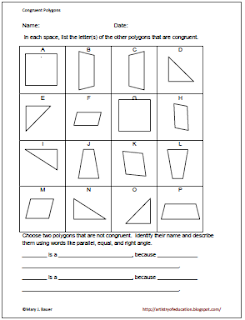 Then they identify and describe two of the shapes. 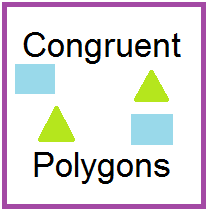 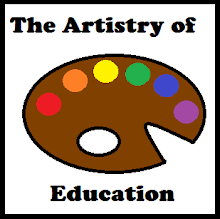 To download Congruent Polygons, please visit this post at Artistry of Education.